What is juvenile psoriatic arthritis? Psoriatic arthritis usually occurs in people who already have psoriasis. People with psoriatic arthritis experience symptoms of both the skin condition and arthritis. When children and adolescents develop the condition, doctors diagnose them with juvenile psoriatic arthritis (JPsA). Psoriatic arthritis (PsA) is an autoimmune disorder. Medical experts believe that it develops when the immune system mistakenly attacks healthy skin cells, causing them to grow too quickly. The cells then build up to form red patches of flaky, crusty skin. The immune system can also attack a person’s joints and cause pain and inflammation. Psoriasis affects up to 7.5 million people in the United States. Every year, doctors diagnose around 20,000 children aged under 10 years with the condition. 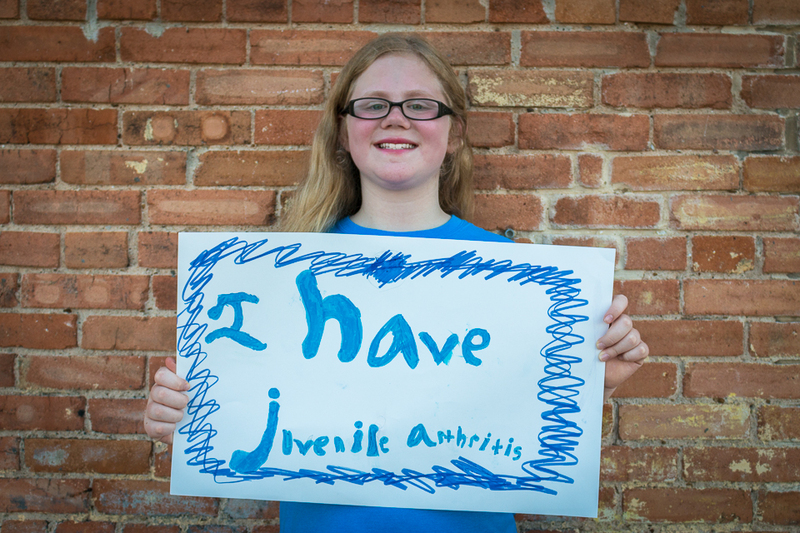 Research suggests that around one-third of the children or adolescents with psoriasis also develop arthritis. The medical community does not fully understand what causes JPsA, but it believes that a combination of genetics and environmental triggers may be responsible. However, a parent may not always pass on the condition to their child, and some people develop JPsA without having a family history of the condition. Also, environmental factors may trigger the onset of JPsA or cause existing symptoms to flare up. JPsA most often appears between the ages of 11 and 12. Girls are more likely to develop it when they are younger and boys when they are older. Some research suggests that young people who are overweight or obese may have an increased risk of developing JPsA. Early diagnosis improves the chances of successful treatment and the prevention of joint damage and other complications. A doctor specializing in pediatrics, a dermatologist, or a rheumatologist will begin by performing a physical examination. They will also ask the parent or caregiver if there is a family history of psoriasis or arthritis. If the young person has characteristic symptoms of psoriasis, such as the telltale rash, the diagnosis is usually straightforward. Antinuclear antibody blood test. The presence of certain antibodies in the blood can point to autoimmune disorders, including JPsA. MRI or X-ray. These imaging tests can detect damage to the bones or joints. Uric acid test. A raised level of uric acid in the urine can indicate JPsA. Eye exam. The doctor may perform a more detailed examination of the child’s eyes to look for signs of inflammation that can point to JPsA. Treatment for JPsA aims to relieve pain, reduce swelling, and prevent further damage to the joints. Medications, dietary changes, and physical therapy can help. Nonsteroidal anti-inflammatory drugs (NSAIDS). These include over-the-counter painkillers, such as aspirin and ibuprofen, and some prescription medications. NSAIDS can reduce inflammation, joint pain, and stiffness. Disease-modifying antirheumatic drugs (DMARDs). A doctor may prescribe these to relieve more severe symptoms. Corticosteroids and immunosuppressive drugs are some examples. Biologics. A doctor prescribes these if a person with PsA has not responded to other drug therapies. Biologics are a protein-based drug that targets specific parts of the immune system. Due to a lack of safety data, the U.S. Food and Drug Administration (FDA) have not approved most DMARDs and biologics for use in children. However, some doctors may still prescribe these drugs when JPsA is severe or difficult to treat. Nutritional supplementation. Adjusting the diet or taking supplements to boost the intake of vitamin D and calcium can help. These nutrients strengthen and otherwise support the health of the bones. Trigger avoidance. Some foods may trigger symptoms, and avoiding them may help to prevent flare-ups. However, there is limited research in this area. Exercise. Exercise can strengthen joints and increase flexibility, and it also supports overall health and well-being. A physiotherapist can advise about the best exercise plan for each child. Occupational therapy. An occupational therapist can help to address any issues a child may have when performing everyday tasks. Hydrotherapy. This involves exercising in a warm pool, and it can be a gentle way to strengthen joints and improve flexibility. A physiotherapist usually supervises these sessions. If a psoriatic rash is present, the doctor may recommend topical treatments, such as moisturizers and steroid creams or ointments. Light therapy, or phototherapy, can also help to treat this type of rash. Sessions involve exposing the skin to ultraviolet light. A dermatologist will usually carry out these sessions in a clinic or hospital. Neck Pain & Causes Which fruits should you eat during pregnancy?